Wondering how much longer the battery will hold out. The amazing thing about bicycle computers is not that they work, but that they work as long as they do on one little battery. This, long battery life, is the reason you can rack up quite a respectable total of miles traveled. This particular computer — at about $20 the cheapest I could find at the time — has been on this bike since the spring of 2012. 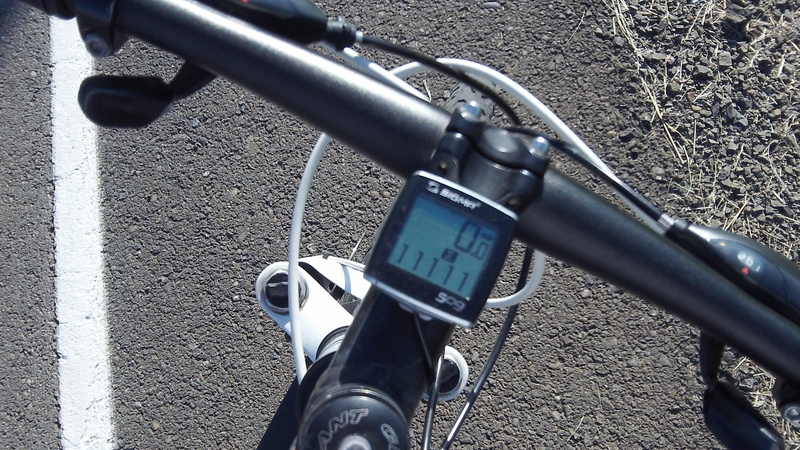 So the 11,111 miles were accumulated over three years of riding. It doesn’t take a lot of effort, just the idea of getting on the bike whenever you have an hour or two not otherwise taken up with important things like making a living or reading a book. I don’t care if you post this. I just thought you might like it. Wouldn’t be sporting, though, would it?